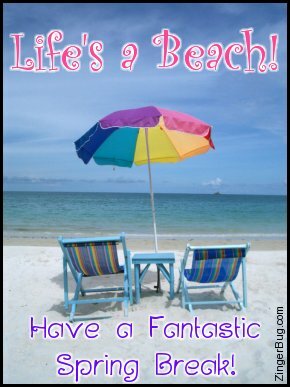 This graphic is a beautiful picture of 2 beach chairs and a beach umbrella looking out to sea. The comment reads: Life's a Beach! Have a Fantastic Spring Break!